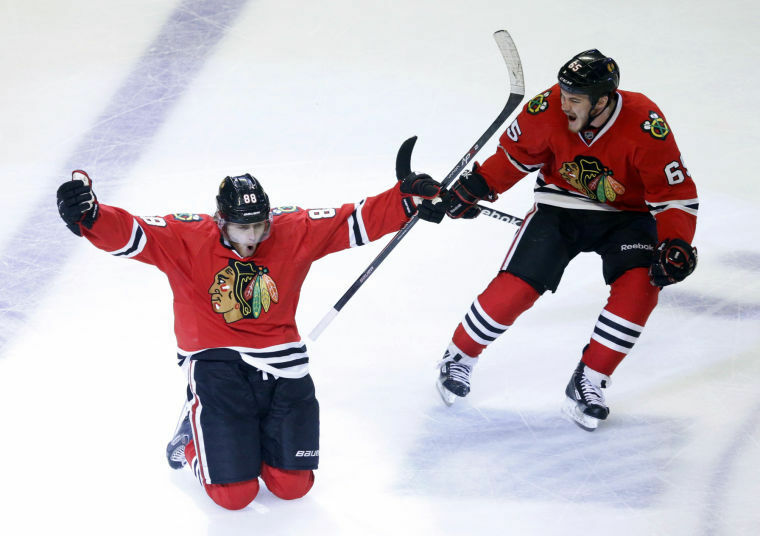 Scott King on the Blackhawks: "People forget how spoiled we are by how good they are"
Chicago Blackhawks right wing Patrick Kane (88) celebrates his goal with center Andrew Shaw (65) during the second overtime period in Game 5 of the NHL hockey Stanley Cup playoffs Western Conference finals against the Los Angeles Kings, Saturday, June 8, 2013, in Chicago. The Blackhawks won 4-3 and advanced to the Stanley Cup finals. RedEye’s own Scott King joins the show to talk about the Chicago Blackhawks tremendous 2015-16 campaign.